The country owes a lot to Teddy Roosevelt, including the quote that titles this blog entry. Roosevelt’s vision around conservation is credited with inspiring much of the national park system–and his appreciation of the country was of course gained when western travel required an incredible commitment. 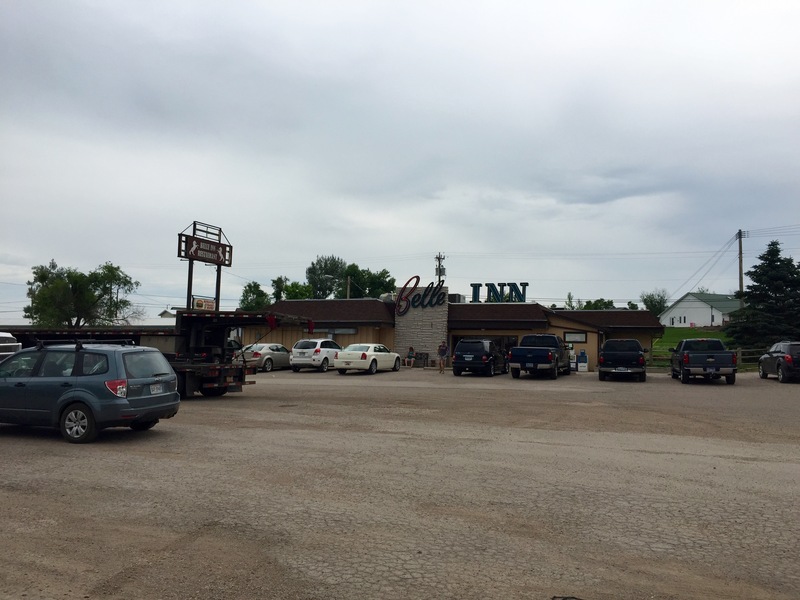 With that in mind, Souzz and I headed further west yesterday, through Fargo and Bismarck and on to the tiny jump-off town of Medora in western North Dakota. 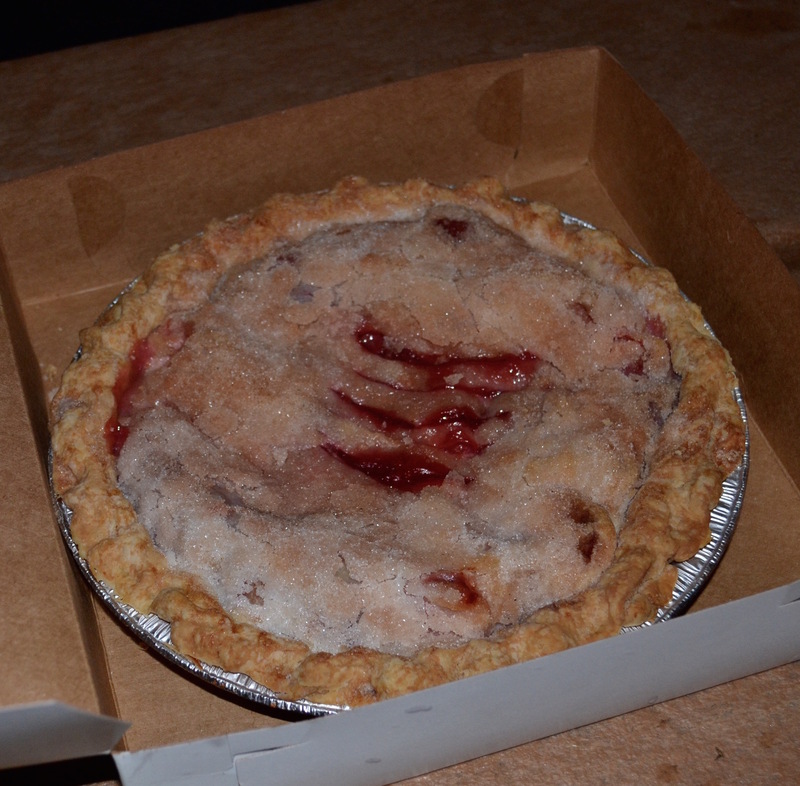 On the way, we stopped in Tower City and picked up a rhubarb pie that we planned to have for last night’s dinner. 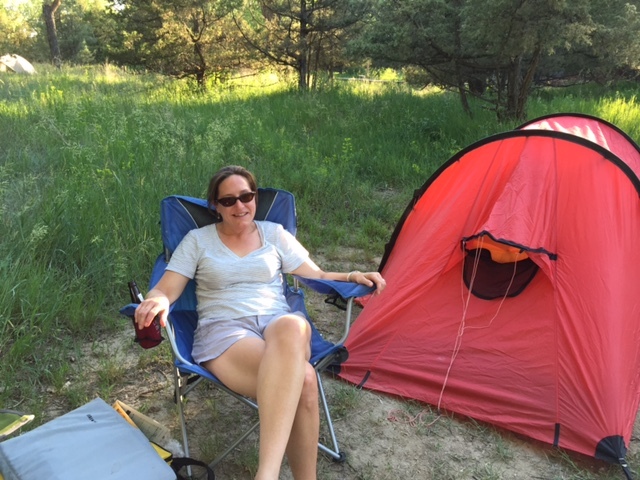 We arrived at Theodore Roosevelt National Park around 6pm and made a simple camp in Cottonwood Campground. 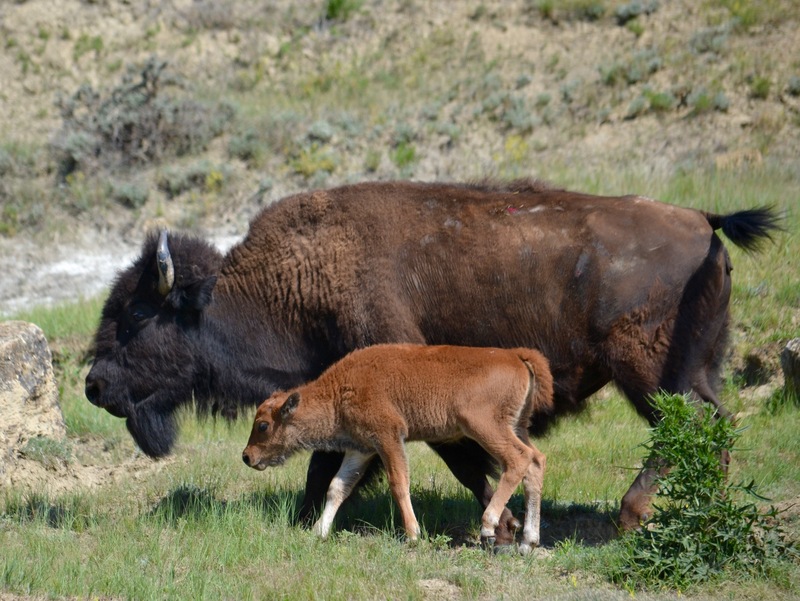 Since arriving in the park, we’ve learned that Teddy Roosevelt first came here in 1883 to hunt bison. He returned a few years later for extended visits after the tragic loss of his wife and mother, and one can easily see why he might get a lift from this landscape. It is a peaceful study in contrast, brown canyons surrounded by green buttes. 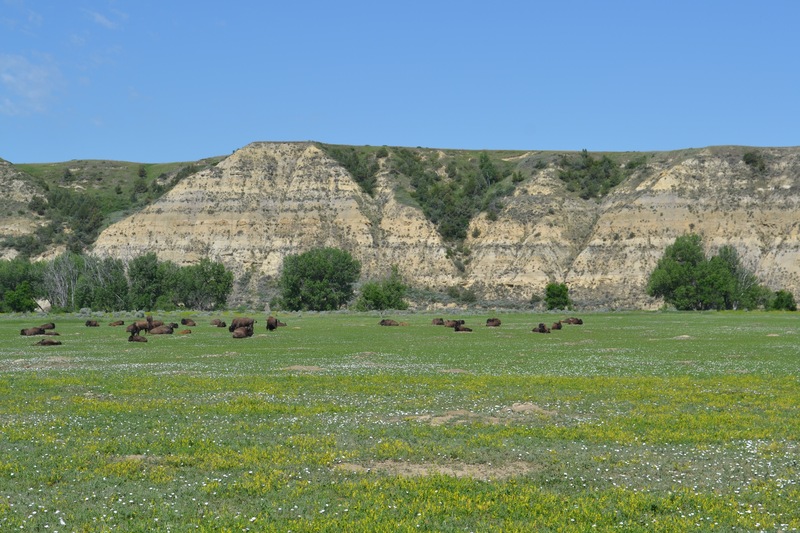 There are also meadows with hundreds of buffalo, much like Yellowstone…except hardly anybody else is here. The park itself was established by President Truman in 1947, and it seems wholly under-appreciated and under-visited. Of course, there are only 740,000 people in the entire state of North Dakota, about 8% of the population of the metro Washington DC area, so crowds are relative. We chatted with a few locals that come here every year, and it seems that the park is greatly appreciated by the people of North Dakota. 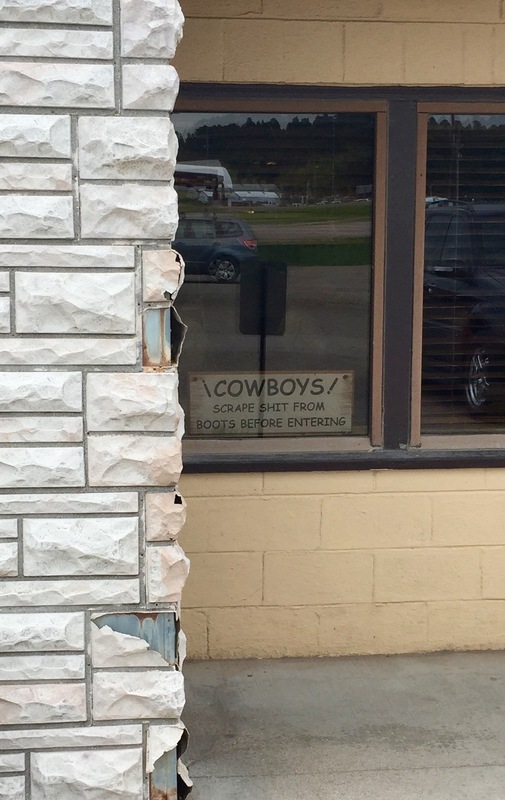 Based on our experience, the locals are super-friendly and immensely proud of their state. During dinner prep in camp, a buffalo ambled by just 50 yards away, and a wild horse came by to say hello, as well. For dinner, we had steak (from North Dakota, of course), local corn, a simple tomato/cucumber dish, and of course the rhubarb pie. Nothing fancy, just grilling over charcoal, but sometimes the simple meals are the best. 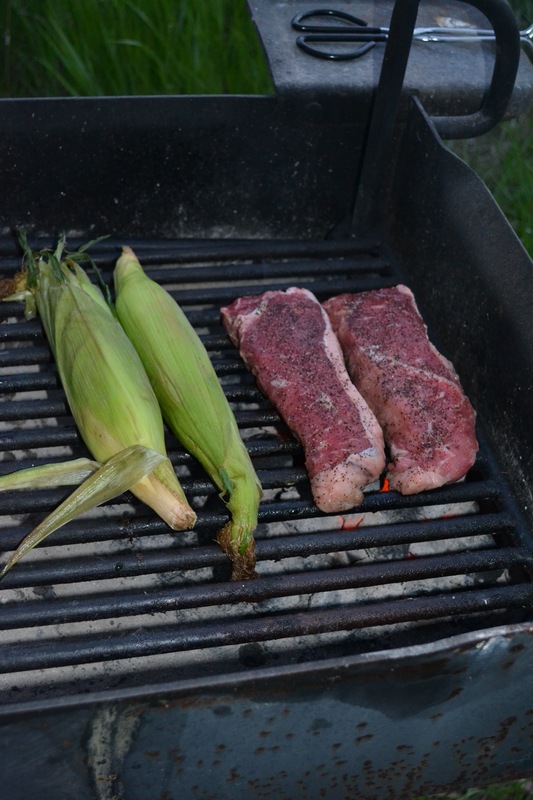 The corn, which we soaked in water before grilling, was sweet and crisp, and the rhubarb pie was really good. It was both tart and sweet, lots going on. I hadn’t eaten rhubarb pie since I was a kid, and remember hating it. My memory isn’t what it used to be. To think that wagon trains used to take months to get to the west, and sometimes there were…um…adventures (see: Donner Party). 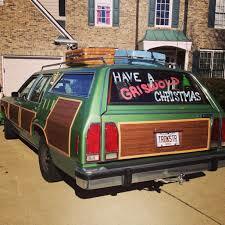 Nowadays, of course, one can drive half way across the country in a few days. And if flying, as Souzz did, you can get to the northern plains in two hours and watch a bad Adam Sandler movie all at the same time. Is this a great country, or what? After meeting up in Minneapolis Saturday, Souzz and I enjoyed a fun visit with great friends Michele and Kyal. Michele is the person that introduced me to Souzz, so I guess you could say I owe Michele for this blog…among other things. And Michele and Kyal are foodies, so they tried to cram in as many regional foods as possible during our visit (well, not literally, as we didn’t want a foie gras situation). 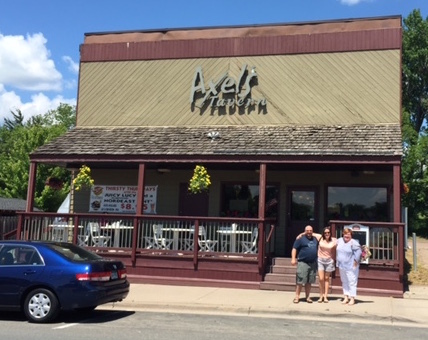 We started with lunch at Axel’s Tavern in Loretto, just outside of the city, where Juicy Lucies and Walleye sandwiches were de reguer. 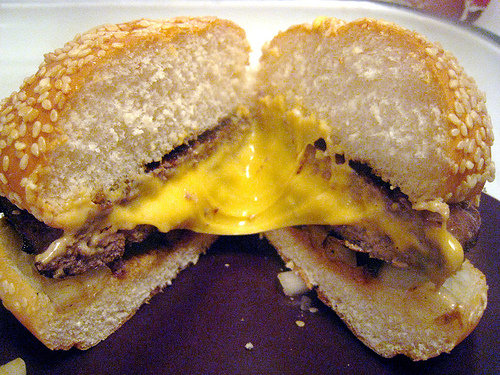 While a Juicy Lucy is unique because of the cheese in the center of the burger, the notable thing about my dish was more that the ground beef lived up to its juicy name. And the walleye was mild and flavorful, sort of like a more buttery version of arctic grayling. 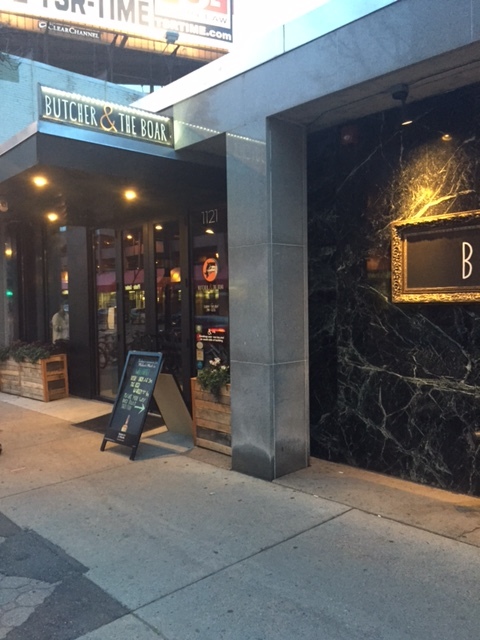 After lunch we spent some time boating on the lake behind Michele and Kyal’s house before we headed dinner at one of Minneapolis’s hottest restaurants, The Butcher and the Boar–a trendy place right downtown that is a frequent James Beard nominee. It’s especially known for its sausage, fresh and local and packed with unique combinations of spices and flavors. Needless to say, we outperformed ourselves at dinner, and my corduroys were actually just slacks by the end of the evening (ok, I don’t actually own corduroys). After a long drive along a bunch of interstates (and a few blue highways), I’m in Stoughton, Wisconsin, a town of about 12,000 on the Yahara River about 30 miles south of Madison. Stoughton was founded in 1847 and claims to be “the birthplace of the coffee break, community television, and the world famous Stoughton Norwegian Dancers.” I’ve also learned that Stoughton is known for its Norwegian heritage, and it hosts a big celebration every year on May 17 for Syttende Mai, the Norwegian constitution day. Like much of Wisconsin, Stoughton is the land of brats and dairy–at least based on a sampling of the shelves of the local “Pick ‘N Save” grocery. It is also the land of very friendly people. The difference between here and the east coast is palpable with every single interaction. From the cashier at the grocery story to the clerk at the hotel, people are amazingly warm. Stoughton is also patriotic; Main Street is already decked out with flags in preparation for the 4th of July. As for the local dishes, I kind of think they like cheese here. Oh, and curds. I had never eaten a curd in my life until about an hour ago, and had only heard of curds because of Little Miss Muffet. And while I’m thinking about it, what kind of kid sits on a tuffet and chows down on curds and whey? And what exactly IS a tuffet? In my opinion, nursery rhymes should have to be believable, like Hickory Dickory Dock–which was based on a true story. Anyway, back to food. Wikipedia defines curds as “a dairy product obtained by coagulating milk.” Sounds delicious, doesn’t it? 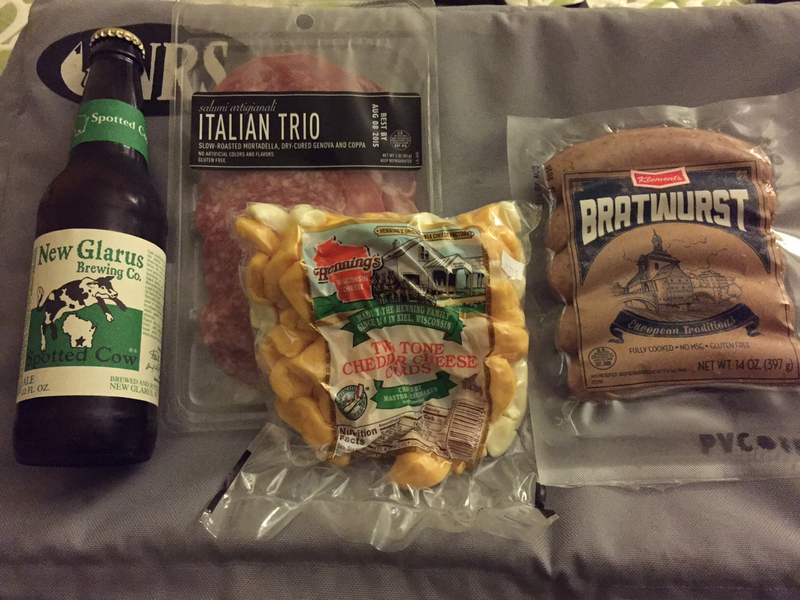 That said, I actually thought curds were pretty good, like a young cheese with a bit of a sour flavor, and the brats and local salamis were also quite nice. There’s also a good local beer from the New Glarus Brewing Company which is sold exclusively in Wisconsin (in fact, it’s actually illegal to sell New Glarus products outside of Wisconsin, as a bar in Maple Grove, Minnesota learned recently). I haven’t had the chance yet to sample the community television or the Norwegian dance, but it’s clear that there is great local food and drink. It’s fair to say that I would whey about 100 pounds more if I lived in Wisconsin (did I spell all of that right?). Tomorrow it’s off to Minnesota. I’ll take a coffee break before I hit the road, of course. 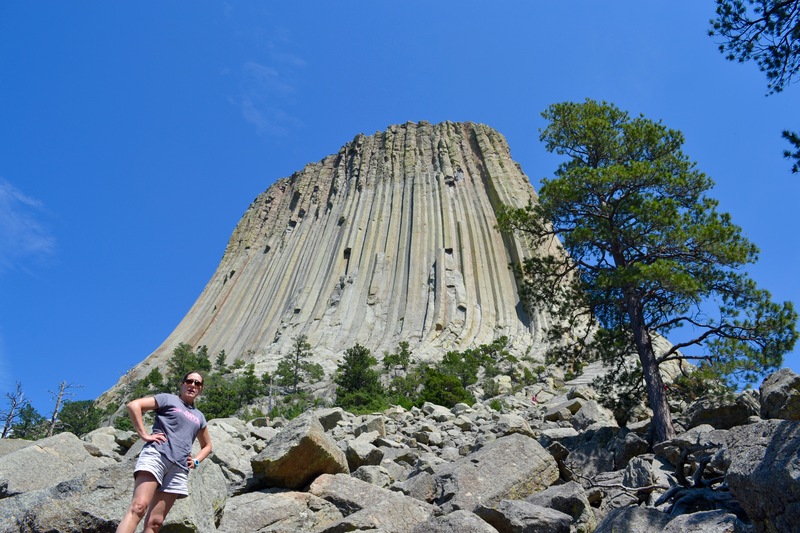 A cross country trip by car is a cultural cliché in the US, helped along by National Lampoon’s Vacation, the book Blue Highways, catchy quotes from Yogi Berra, and untold numbers of blurry Polaroids from western National Parks. 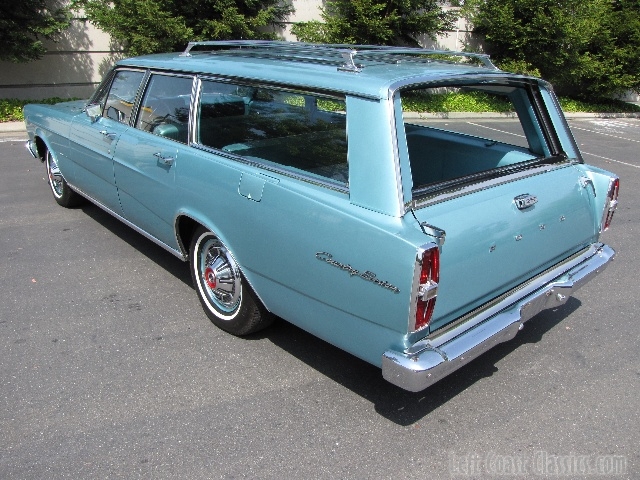 When I was a kid, we drove from Georgia to South Dakota, and then a few years later from South Dakota to Washington State, and each time I was rattling around without a seatbelt in the “wayback” of our light blue Ford station wagon–our version of the Griswald’s Family Tripster. Times were different then, and much of what I remember centers around a “squirt ring” that we bought at Wall Drug in central South Dakota. My older siblings were…um…good sports. Unfortunately, I seem to have misplaced the squirt ring (I think it’s probably in one of my suit pockets). So my childhood may be lost–but I still have the desire to drive across the count ry. I’m going to go as far west as Devil’s Tower, hopefully squirt someone in the face, and then head on back. Suzy is meeting me in Minneapolis (by plane), thus avoiding 20 hours of driving on each end (honey, bring eye protection and a towel, ok?). 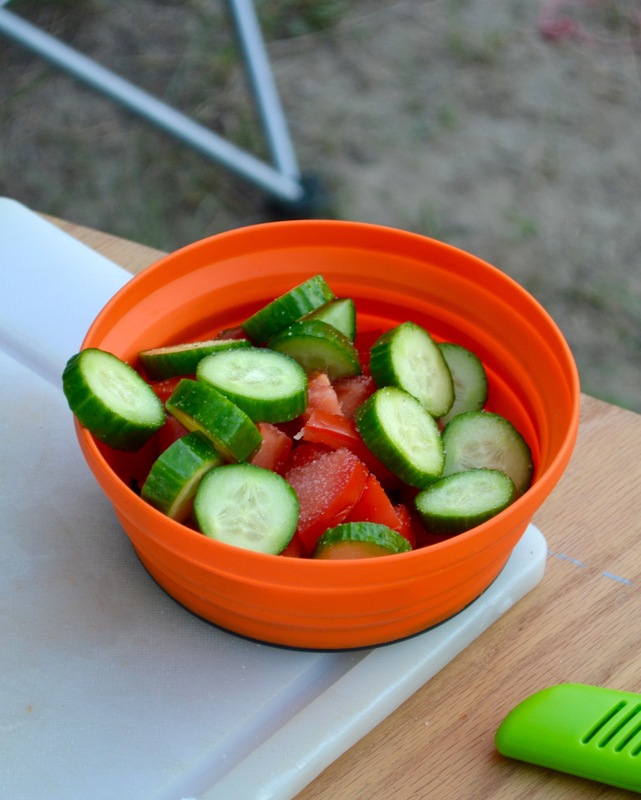 At each stop, I’ll highlight a local dish, likely starting in Wisconsin with brats or curds. 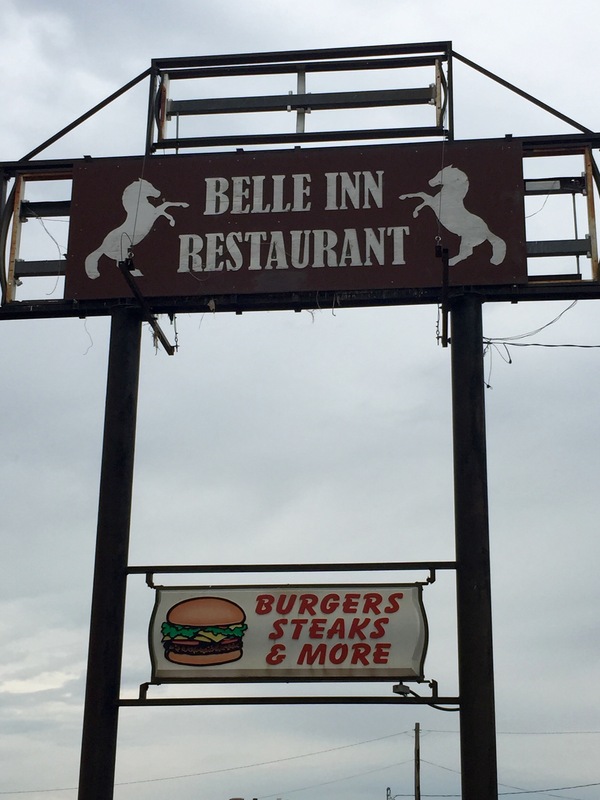 Then it’s on to Minneapolis (juicy lucies), up across North Dakota (fleischkuekle), down to South Dakota (kuchen), and finally on to Devil’s Tower (devil dogs). On the way back I hope to hit the Upper Peninsula (UP) of Michigan (pasties) and then on to Cleveland for sauerkraut balls (you can’t make this stuff up). Don’t know what some of these dishes are? Well, neither do I, but I’m aiming to find out (and yes, I did make up the part about devil dogs). If you are interested in knowing more, hop in the virtual wayback and join me for the ride as I leave today. You can find out where we are by clicking here. Seat belts, devil dogs, and squirt rings optional. 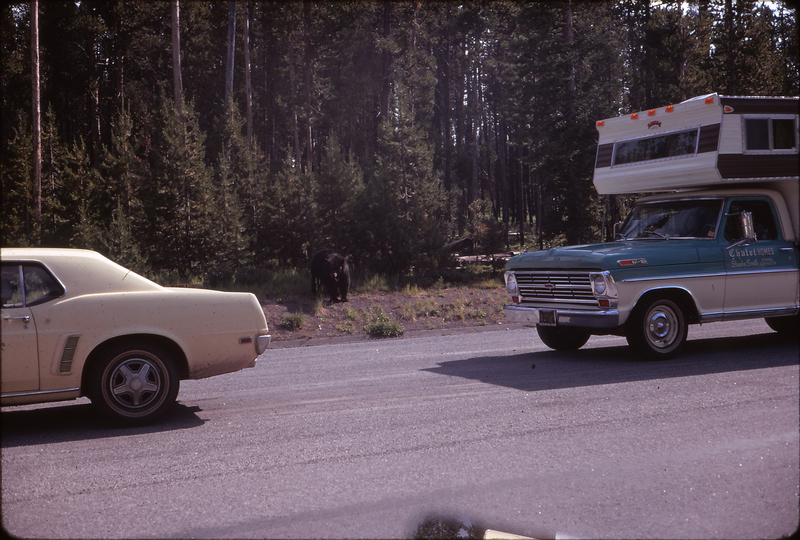 A roadside bear during a cross country trip in 1973.